A contentious, yet beautiful fire effect, the Sky lantern, has gained both popularity and criticism in recent years. Originally invented centuries ago as a Chinese military signal beacon, Sky lanterns have become used in public celebrations, weddings, and other ceremonies. A single sky lantern is a sight in itself. But when dozens alight simultaneously, it’s like nothing you’ve ever seen. We do not specifically offer free-floating sky lanterns as part of our performances, mainly due to the fact that we like controlled fire, but also due to our inability to predict proper weather & wind conditions, and other environmental factors for a particular area. However, if you are positively set on doing sky lanterns, we can be there to help ensure you have your sky lantern celebration as safely as possible. 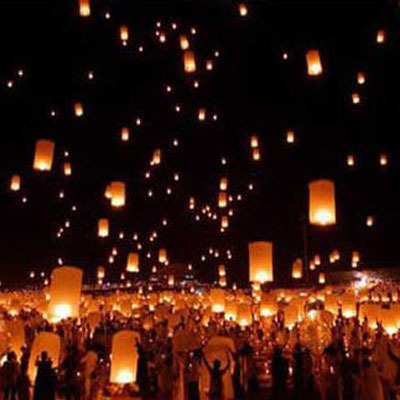 Sky lanterns, also known as Wish lanterns, are biodegradable tissue “balloons”, and a bamboo or fireproof rope frame. A small candle underneath heats the air inside, thereby rising the lantern, similar to a hot air balloon. It then rises off high into the sky, going so high as to appear like a star. 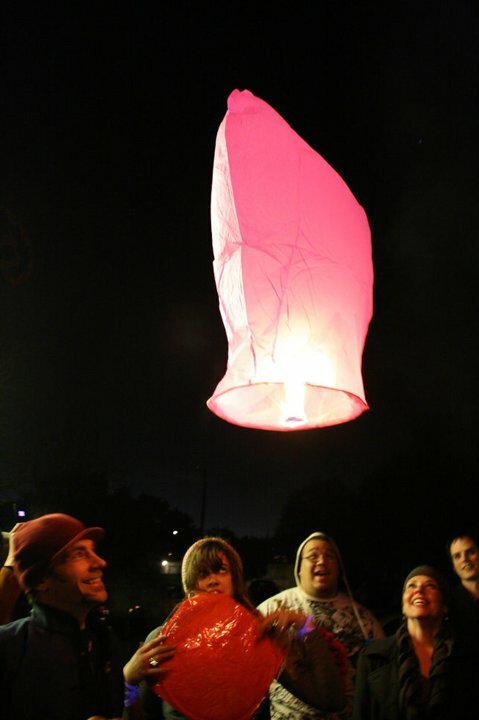 Local, city and state laws may restrict the use of free- floating sky lanterns in your area.